..trovare ancora una volta tesori vintage e riassemblarli con trend contemporanei. Colori tenui, giochi di lunghezze, adoro il twist preppy chic per iniziare la settimana e voi oggi in che mood siete? ..discover vintage treasures and combine them with new season trends. Soft colors, playing with lengths..I love preppy chic twist on Monday morning to start the week, and you? In which mood are you guys today? adoro questo stile...ti dona molto ed è molto comodo!!! !cosa ne pensi del mio??? Bello, bello, bello Sabri! Così mi piaci tantissimo, l'arancio pesca e le righe ti donano molto. Mi piacciono tantissimo i colori di questo outfit!!! i love your outfit!!! nice color!!! Love this soft colors! cute look! such a beautiful outfit for spring time and for this lovely weather! wow! great colors! love the look! Such a great colour combo! Adore your two tone bag. The striped top looks fabulous underneath! It is a great layered look. This color is super flattering! loved this sweet look, the color combination is amazing! Amo questi colori.. Sai di primavera! this looks great, love how you matched these colors! Adoro la camicia con quelle righe molto fini ma nello stesso tempo così in forte contrasto e in evidenza rispetto i colori chiari della base e del maglione! I loved it! An amazing look, nice necklace and this blazer looks really good. Amazing outfit! Love this color and your bag is awesome!!!! The colours and layering in this outfit are perfect!! grazie ragazze!! :)have a nice day!! You look soooo beautiful, you've styled this outfit so well! 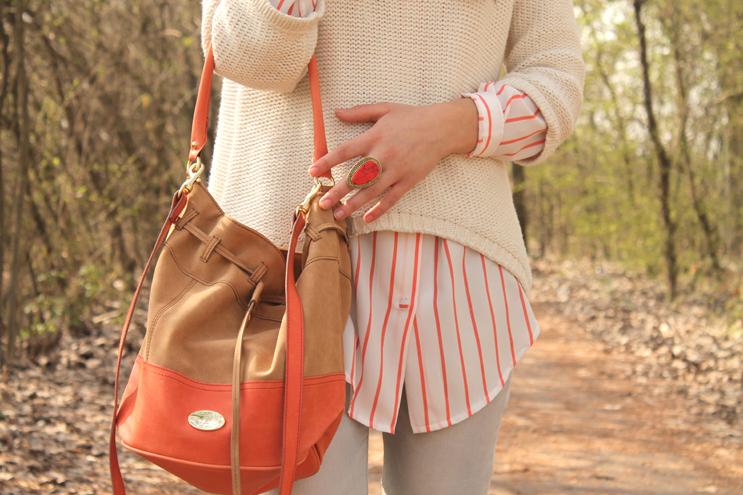 Love the striped shirt under the jumper! 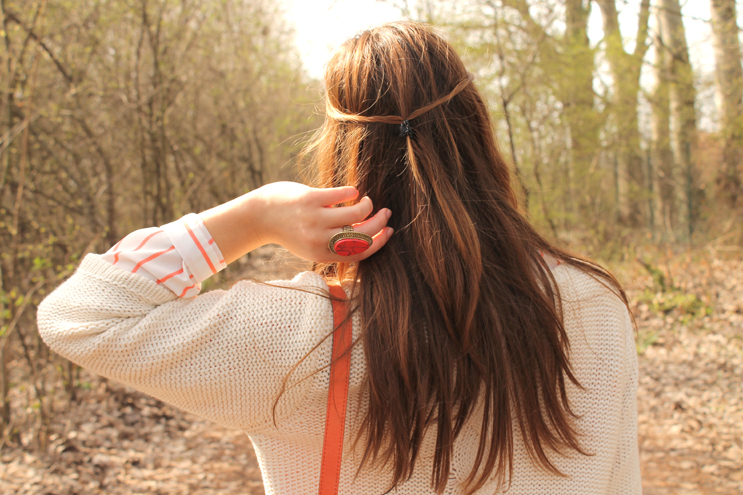 Perfect coral touch outfit! i like everything how you put it together! questo look è grandioso briii, è stupendo. uno dei miei preferiti..
mi piace un sacco l'anello e la camicia che indossi. Tesoro ho cambiato indirizzo, mi seguiresti sul nuovo indirizzo di Bloglovin? E' l'unico modo per rimanere aggiornate ancora... non ho più infatti Google Friend Connect! Beautiful, beautiful outfit and such a lovely blog! stunning!!! love this peach colour!! let me know and make sure you check out my new post!! Wow love your look ! Such a cute sweater, love how you layered it with the striped undershirt. Lovely!